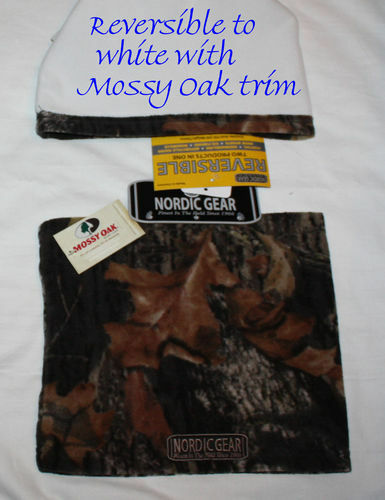 Reversible two products in one: Mossy Oak Breakup pattern reversible to white with Mossy Oak trim. Outside: anti-pill 200 weight fleece. Designed for fuller pattern exposure. Inside: anti-pill micro fleece, extra warm.